A severe injury to the anterior cruciate ligament—such as a tear or rupture —causes sudden pain and swelling. It can cause reduced knee motion and can make the joint highly unstable. This kind of injury typically requires reconstruction of the ACL in order to regain normal function and avoid early arthritis. The anterior cruciate ligament (ACL) is one of the four main ligaments in the knee. Along with the posterior cruciate ligament, the ACL controls the “back and forth” movement of the knee, and plays a very important role in stabilising the knee joint while allowing it the flexibility it needs to function. ACL tears are one of the most common knee injuries, particularly for athletes in sports such as soccer and basketball. Most of the time, an ACL tear is the result of landing with force while the knee or ankle is pivoted. With sufficient force on impact, the ligament can be strained to the point of tearing. While it's often athletes who sustain injuries to the ACL, they can happen to other people too. Any sufficiently forceful movement that puts stress on the ligament has a risk of injuring the ACL. The most common at-risk movements are things like rapid changes of direction, sudden stopping, incorrectly landing from a jump, or a tackle or other direct collision. If the ACL is sprained, a course of treatment that includes rest, pain management, and physical therapy is typically enough to heal the tissue. However, if the ACL is torn, it's usually the case that surgery is required to reconstruct it. This is particularly true for patients who want to be able to return to sports. 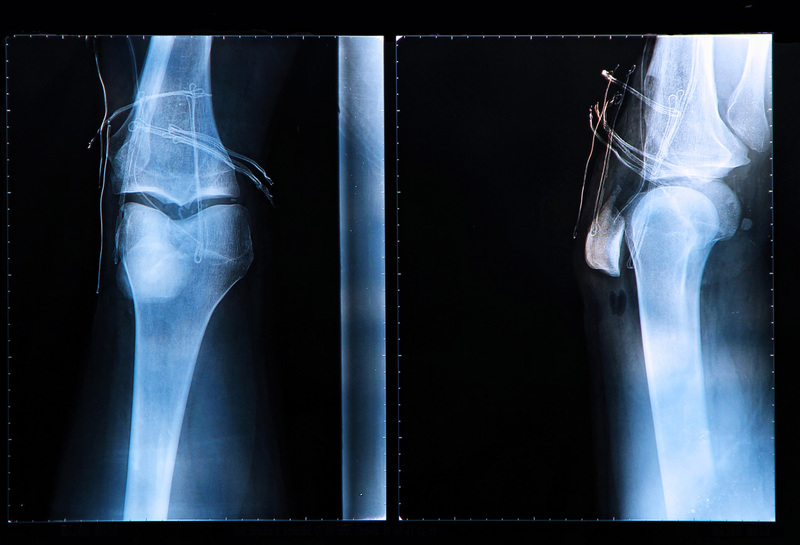 Since the two ends of the ligament are not always possible to repair a surgical graft that uses tissue from elsewhere in the patient's body, is used to reconstruct the ACL. Certain patients may be suitable for cadeveric allograft, this reduces the donor site morbidity and often allows for a more rapidly d recovery. The graft used to repair the ACL is taken from the patient's hamstring tendon located at the back of the thigh, or from their patellar (kneecap) tendon, which connects the kneecap and tibia. Some patients may be suitable for a newer technique of ACL repair is they have an ACL avulsion and the injury has been dealt with promptly. ACL reconstruction surgery is usually carried out with arthroscopic techniques, which is less invasive and has a faster recovery time. During the surgery, small holes are drilled in the femur and tibia to allow the surgeon access to the ACL. The torn sections of ACL are removed via the holes in the bone. Next, the graft material is removed from either the patellar tendon or the hamstring ligament, and is used to reconstruct the ACL. Once the graft is in place, it's held in place with a suspension system and bio-absorbable screws. Rehabilitation is important for everyone who has ACL surgery but it's particularly vital for athletes who want to return to active play, first to safely allow the joint to return to a full range of motion, and second to build up leg strength in order to protect the ligament from further damage. Strengthening work also focuses on the ligament itself, to build up the amount of stress it can withstand. Using tissue from tendons as graft material does have some impact on the tendon that supplies the graft. With the hamstring graft, for example, the tissue that's used isn't from the primary hamstring, but from one of the accessory hamstrings. Even so, the hamstring is typically a little weaker after the surgery. Similarly, when a patellar tendon graft is used, there's an increased risk of patellar tendonitis, and kneeling can cause discomfort. Other risks are stiffness, numbness, thrombosis and re rupture. However, would good post operative care and guided physio therapy these risks can be kept to a minimum.